If you have created a blog, promoted it through doing SEO and you are getting much traffic on your site, nevertheless you can not be approved by AdSense then you must try AdSense Alternatives. RevenueHits is the one of them. If you are a blogger then you must know that it is a site which provides advertisements to the blogger in order to pay them money. The money is earned when someone comes on your blog and clicks on the advertisement. Revenue hits is not only used by blogger or site owners but it is used by business and companies owners because they sell their organization ads to revenuehits so that it could send these ads to blog owners. 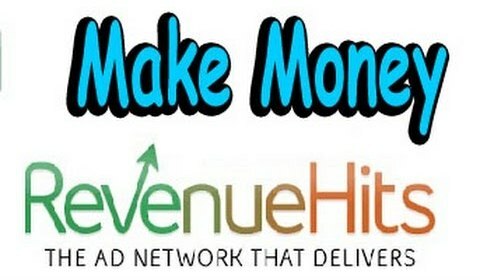 The Revenue hits earn money through keeping their commissions. If you have a blog with games and software or with videos which is called vblog and you are being rejected again and again by AdSense then it is the second best alternative. These days it is showing ads in the bottom which contains different kind of graphics. Review: "In the past revenuehits used to show ads mostly of dating but few days ago I saw their ads in Google after which I checked them now they show appropriate ads which means it is safe to use"
Youtube adsense hosted account hota hai aur use blog pe direct use nahi kiya ja sakta. ap youtube me sites k area mein apne blog ko add karwao agar approve hogayi to ap use kar sakte hein. bro me ny ads lgaye lag b gy prh website py show e ni ho rhy? Apne adblocker to nahi kiya hua? Are you looking to earn cash from your visitors with popunder advertisments? Blogger me jao waha pe Setting me jao phir Other me jao waha pe Delete Blog ka option hoga. I can not see my ad coming. There is nothing coming.How can I give you a screen shot here?